A floral and herbal lavender bouquet. Slight medicinal aroma compared to Lavender (30/32). The 40/42 in the name Lavender 40/42 means that it has been standardized by blending with a variety of lavender and lavadin essential oils to make up the aromatic lavender notes of 40% linalool and 42% linalyl acetate. This blending helps create a dependable aromatic experience and oil performance year to year. COMMENTS: This fragrance is a true lavender fragrance. It is a favorite of my customers and myself. One of my staple "go to" fragrances all the time. Love it! COMMENTS: I really like this scent, its nice, blends well with other scents, and very popular. I prefer Bulgarian, but that is much more expensive. this is a fairly priced alternative. "I can never have enough of Lavender Essential Oil"
COMMENTS: Although I am personally not a fan of lavender, my customers love it. It can be blended with so many other essential oils and fragrances. Anything I make with Lavender EO sells quick. 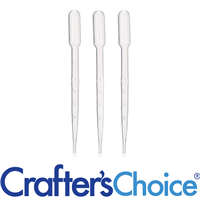 COMMENTS: Very nice lavender scent and great performance and staying power in products. Customers love this lavender. COMMENTS: My customers love lavender and this is the one I use. The scent holds well in cold process soap. It preforms well, does not discolor, or rice. My soap does thicken somewhat quickly, but I don't know that it's due to the lavender, it could very well be my recipe. I will continue to purchase this product. COMMENTS: Perfect Lavender EO. Smells just right, not too overpowering but strong enough. COMMENTS: I purchased the trio of lavender EO's and love them all but I could not distinguish one from the other. Great smell on all of them and they were excellent in my CP. COMMENTS: I agonized over which Lavendar EO to purchase ... and finally decided to try this one. I LOVE it!! I grow Lavendar in my garden ... and blindfolded ... I would not be able to tell the difference. Absolutely perfect !!!! • A very good seller for me. COMMENTS: This is such a great smelling lavender and really sticks in my cold process soap! COMMENTS: Love this essential oil. Works great in cold process soap! COMMENTS: Wonderful smell! Behaves well in my cp soap. Combined it with spearmint and eucalyptus for a stress relief soap. Can’t wait to use it! "Smells just like you imagine"
COMMENTS: My favorite Lavender scent. COMMENTS: Love it and so do my customers! It's my number one seller! Just made a double batch to keep up. COMMENTS: I'm really happy with this essential oil. Really nice fresh lavender scent, does really nice in Soy candles. I have also used in a assortment of other products. COMMENTS: Theres absolutely nothing I dont love about this product. It smells amazing! Performs great in soapmaking. Everyone loves it! "Seized my batter almost instantly"
COMMENTS: I had a low temp, cold process batch of batter that was just past emulsification. I added this and bam! Almost instantly it turned my batter into a solid mass. Then again, I rarely have any luck with florals - EOs or FOs. COMMENTS: Ioved this product. I use it for my hot processed soaps and my wax warmer...will be purchasing again. COMMENTS: Cannot decide between the two different versions. The both smell and perform wonderful in all my products. COMMENTS: I get many compliments from my customers on the smell of this Lavender EO. It's one of their favorites! "Lavender 40/42 EO Certified 100% I am in Love!" COMMENTS: Love the true lavender fragrance! Great price! Holds well in products: soaps, lotions, lotion bars. COMMENTS: This is the best! It is a lighter/softer scent yet the same as the Lavender Bulgarian. I truly like this one much much better. A definite re-order for me! COMMENTS: Wonderful oil. I have purchased this many, many times and I have never been disappointed. A little goes a long way! COMMENTS: The oil smelled great in the bottle. I used in CP 3 weeks ago, and the scent is holding up very nicely. It didn't change my trace much, and barely any dicoloration --if any at all. I will definitely re-order this. Smells just like my plants in the yard. "Have used this lavender for years"
COMMENTS: This product smells very good. I used it for the handmade soap and even my dad was in love with it. customers enjoyed this product as well. COMMENTS: This smells just like lavender to me!The description says it has a slight medicinal scent but I don't think so and apparently neither do my customers. COMMENTS: This is the best Lavender EO that I have used. It smelled great in my CP soap and the scent lingered for a long time. COMMENTS: Very close to real fresh lavender flavor. Should get it a lot! COMMENTS: This is a good fragrance and has a reasonable price. COMMENTS: I'm not really a floral fan but I use this in my 100% goat milk lavender soap and fell in love when I tested it. I love it. I also use it in blends for my beard balms. COMMENTS: I used this oil to make spa type bath salts. It has an authentic lavender aroma not sweet like a fragrance oil. COMMENTS: I love it!! My customers love it!! "Great stay in Cold Processed Soap"
COMMENTS: This is one of my favorites for cold processed soap. It holds well and has a creamy white color when cured. A favorite. COMMENTS: This works well in cold and hot. No issues when mixing. Easy to work with and lasting scent. COMMENTS: Absolutely perfect for all things bath and body! COMMENTS: This is a high quality oil with the rich lavender fragrance I was looking for. I use it in soaps, lotions and on my pillow case to promote relaxation and sleep! COMMENTS: I love this lavender oil! it's a necessity in my fragrance cupboard! COMMENTS: LOVE this scent. When I think of the old fashioned lavender scent I remember from my Grandmother's home this is what stirs that memory. This lavender mixes well with other EOs and FOs. I have not had any negative reviews of this scent in any of my finished products. COMMENTS: I have used this essential oil in lotion and soaps. It has been wonderful to with, the scent is long lasting. Always a best seller. COMMENTS: This is a perfect, classic lavender scent with a great herbal note. Smells like bundles of dried lavender. COMMENTS: I use this in my lavender soap and fizzies and it smells just as expected and has a decent price. COMMENTS: This scent is always one of our best sellers. Classic scent appeals to a lot of women. COMMENTS: I just used this product in a batch of CP milk soap. The scent holds up well. COMMENTS: Good price for an EO. Sticks well with little acceleration. COMMENTS: I have added lavender oil to bath salts and scrubs with equally wonderful results. The scent seems to be universally appreciated which makes it great for producing products for sale. By adding lavender mica powder I was further able to benefit from the lavender connection. I highly recommend this essential oil! COMMENTS: This is a staple for any soapmaker! 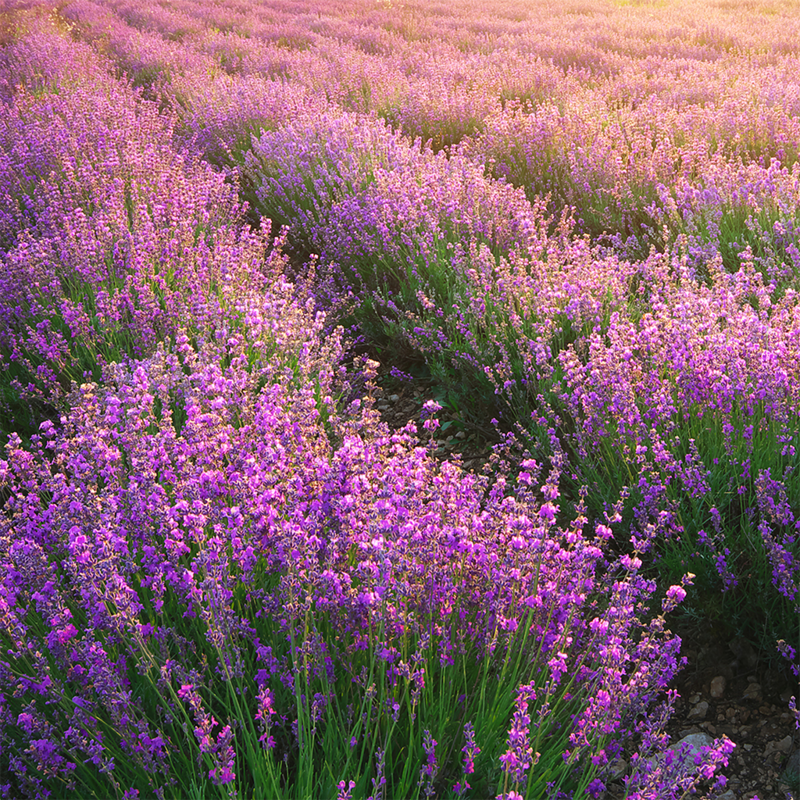 Who doesn't love the smell of lavender? So many blending choices, it enhances everything! COMMENTS: I do not get any complaints from this scent however i prefer the 30/32. otherwise, good quality product. packaged beautifully. COMMENTS: Great scent without being medicinal. No production problems. Never had a complaint. COMMENTS: I've used some lavender EO in the past that doesn't seem real. But this Crafter's Choice brand of lavender is the real deal. Very clean aroma, holds its scent well in CP and milled soap. I will only used this brand from now on! "This is a potent oil that uses minimal amounts." COMMENTS: This lavender EO is strong and good. I used in CP soap and it stuck better then any lavender FO I've used so far. COMMENTS: My favorite eo. I use it in every product I make a good lavender is a must. Highly recommend this one. COMMENTS: It's ok. I wouldn't order it again. It doesn't smell like the crisp, herbaceous lavender scent that I get from lavender buds. This smells muddled and strange. There are other lavender EOs that are better. COMMENTS: Let's start by saying I'm not a lover of lavender. However, I had a few requests for it and decided to try it out. I chose this one based on the reviews. It is very strong out of the bottle and both my daughter and I ended up with bad headaches after working with it. This scent did mellow out a bit once we got it in the products, and the customers love it, so I'll keep it in stock. But next time I'll put a fan in the window to blow the some of the scent out of the room and hopefully that will help with the headaches. COMMENTS: Love this EO. 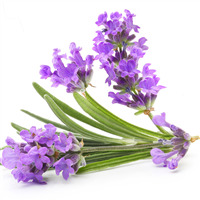 It's highly versatile and hits the sweet spot for a lavender scent. Customers love it. COMMENTS: GREAT true lavender. Perfect for my soaps, holds up well and is true to Lavender! "it's true but a bit medicinal"
"Love, Love, Love the smell"
COMMENTS: I'm not going to lie, lavender is not one of my favorite scents. 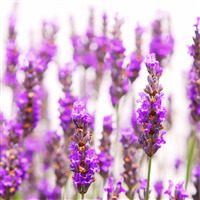 But having any sort of scent based business, you quickly realize how much your customers love lavender. And this is one of my favorite lavender essential oils! Very nice, true scent. Easy to soap and blends really well with other scents. COMMENTS: This is the worst lavender 40/42 I have ever bought. Doesn't smell floral or herbaceous at all. It is overpoweringly smells moldy or rotten. I was very disappointed since I have purchased other oils and please with them. COMMENTS: Have tried Lavender 40/42 EO from several online sources and this is the best one! COMMENTS: I adore lavender - it's mingled all throughout the various gardens and flower beds around our farm and I simply cannot walk by one of my little gems without running my hands through the stems to release the fragrance. I tell you this to assure you that I know what REAL lavender smells like...and this lavender EO is as close as it gets to waving a fresh lavender sprig at your nose! It soaps beautifully (no A or D) and the fragrance lasts forever (seriously, I have two bars from last November's batch that fell behind my storage shelf and the aroma is a fresh as a batch I just made a a few weeks ago. Essentially, that is over a year and it still smells great! • True, natural lavender aroma! COMMENTS: The fragrance may have a hint of lavender, but to me it has a grass smell. I never had any lavender smell like this one. COMMENTS: Good stuff. I add it to my natural line of bath salts and customers love it. Very relaxing, not sweet scent. Its a great seller. COMMENTS: This smells amazing and just as I expect my lavender to smell. Will definitely buy again as I use lavender in so many products. COMMENTS: I would not say this is better than the Lavender 30/32,just different. Just as described it has a stronger, less sweet scent. It is subtle, but comes through the cold process well. 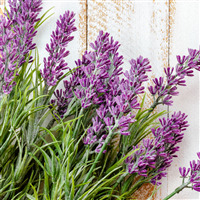 For those customers who like Lavender this is a winner for them! COMMENTS: This is the best lavender money can buy. It smells so luscious and it really sticks, unlike other lavender eo's I have used in the past. Even my clients who aren't crazy about lavender have nothing bad to say about it. I'm so glad I found it!! COMMENTS: I really like the quality of this and use it in my cp soap. "Literally use this for everything!" COMMENTS: This is my universal oil. There is not a single product I have that does not happily accept this oil. I even use it to make my own cleaning supplies. COMMENTS: This is a bold, very provence forward. Nice in CP- very steady. COMMENTS: Produces a great lavender scent in my cp soap and bath fizzies. COMMENTS: Used this for a customer request, eucalyptus lavender soap. We sold out. COMMENTS: Medicinal smell, perfect to mix with rosemary or peppermint. COMMENTS: This is a great smelling fragrance. True to the lavender smell. Love the way the soap smells so good. COMMENTS: This Lavender smells really good - much better than the supplier that I used in the past. This is my new home for Essential Oils!! COMMENTS: This lavender smells great! It is almost addictive, and very soothing to the senses. COMMENTS: This lavender holds up well in cold-process soap, and gives that crisp, clean scent that is characteristic of lavender. Makes a beautiful soap with alkanet powder added for a little gray/lavender color! COMMENTS: I use a lot of lavender and this one is great. It mixes well with other fragrances. COMMENTS: Lavender EO works great in all my bath and body product's. COMMENTS: Wonderful scent hold well in hp soap. I love this for my acne cleansing oil. Not as medicinal as the description sounds. When I think of lavender this is exactly what I remember. COMMENTS: My favorite Lavender for CP soap. Beautiful Lavender fragrance that lasts. No acceleration. No discoloration. COMMENTS: I love this lavender...I use it quite often! I think it is very herbal...not like a fragrance, which is why I love it! It's REAL lavender for sure! "The very best Lavender EO"
COMMENTS: I tried numerous lavender essential oils from different suppliers and finally settled on this one. Its got a great scent and I use it in all my products. Very versatile and not too over powering, just the right scent. I'll be sticking with this essential oil, unless something better comes up. This is the best so far. COMMENTS: Lavender has always been a favorite of mine and its nice knowing my customers share this sentiment. COMMENTS: I love this . . . it does smell like lavender and it's very strong, so a little goes a long way. It's one of my favorite scents for cp soap and lotion bars. It does not discolor soap or lotions at all. COMMENTS: I love this Lavender, I tried some Young Living and it stunk to me, not sure how they make theirs, but this one smell absolutely amazing. Will definitely be ordering more. COMMENTS: I have tried several different lavenders and this is the best one. The scent is so close to fresh lavender and my customer's love it! This is a staple in my soap and lotion line and a best seller! I will definitely keep this one in my stock. "This is a wonderful Lavender"
COMMENTS: It's a wonderful smell. I love it. My customers love it. Its great in anything I put it in. I love it when I open my hand cream bottle and it is just so wonderful. It holds it own in combination recipes. Thanks for making another great product available to us. Will definitely keep using this one. COMMENTS: I recently used a 2 ounce bottle of lavender essential oil for a soap that's a little over 3 pounds. This was my first time making a lavender soap. The scent is strong out of the bottle initially. After I cut my soap the next day, the lavender had mellowed out into a nice, relaxing scent. I love it. Due to the price of 2 ounces, it does mean a more expensive soap to sell. I added no color to the soap, preferring to keep it all natural. Will buy again, andy hope to use it in blends. COMMENTS: I love Lavender EO, and this one is fantastic! I use it in massage and bath oils and is smells wonderful! COMMENTS: I have enjoyed this eo tremendously. It is a great price for a large amount. I've made it into many products: cp soap, facial serum, pillow spray, bath salts, face mask. 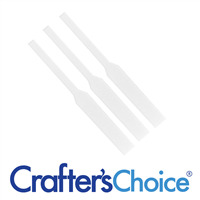 "Crafter Choice Lavender 40/42 EO"
COMMENTS: Lavender is a staple fragrance for my collection of products. This fragrance smells wonderful! In lotions, fragrance, body and linen sprays it shines. In soap it's very difficult to fix the scent for very long. COMMENTS: Love the fragrance, one of my favorites. Have mixed it with lemongrass, orange, and sweet almond essential oils. Should have bought a much larger bottle the first time around, as it is my most used essential oil. COMMENTS: Very strong you get your moneys worth. A little goes a long way. I use half the amount I am suppose to use and works great. COMMENTS: The scent is not the only amazing part of this EO, the price is also amazing! Great results in cold process soap. COMMENTS: This is a nice lavender, not too strong but strong enough. I never used to like lavender but I like this and it's been well received by our customers. The price is also excellent. Will buy again. COMMENTS: Great scent and a customer favorite in my HP soap. I have also used it in lotion bars and after sun products. It is a staple for me. COMMENTS: You can't go wrong with this one! Great in every product I use it in from soap to bath salts to hair rinses. COMMENTS: Lavender is a classic scent, and the 40/42 version sure delivers! It smelled a little strong to me right out of the bottle. Once I added it to the lotion bars, the scent really evened out. Everyone loves it! I've smelled quite a few different varieties of lavender, and they all seem a little different from each other. This one seems like it has some peppermint tones to it, but that may be just my nose. Overall, an excellent product! COMMENTS: Perfect! Perfect size and perfect smell for all of my creations! COMMENTS: We have used several Lavender E.O.s This one is the best we have found,our customers love it and it behaves well in CP soap. COMMENTS: Everyone who loves Lavender absolutely loves this, I would buy again! COMMENTS: I have so many uses for this EO. It is so fragrant and lasting in everything I've tried so far....bath teas/salts, lotion bars, body cream/butter, pillow sprays, and soap. One of my best friends particularly loves this EO and requests products using this. As others have done, I also blend it with other EO's in bath/shower tabs and other products. This works well. Top notch. COMMENTS: At first this didn't smell as strong out of the bottle compared to another brand. However in the product it smelled just as sweet. Very nice. COMMENTS: A little goes a long way. I found that I can cut the amount in a recipe due to the potency of the oil. I will buy it again. COMMENTS: True lavender scent. Nice. COMMENTS: This is awesome!! I use it in soaps, lotions, scrubs and bath salts/fizzies. Perfect clean scent. Very popular scent with my customers!!! COMMENTS: This is the best Lavender! Everything I have made with this has been fantastic!!! Everyone who has tried my products made with this lavender EO Loves it! A must have! COMMENTS: I love the potency of this scent. I use it primarily for candles but, I have also put a drop in my mascara to thicken and elongate my lashes! COMMENTS: I love this product. It smells fabulous and appeals to all the lavender fans out there. I often combine with ylang-ylang for an intoxicating fragrance. COMMENTS: What a beautiful scent this is! So worth the price! 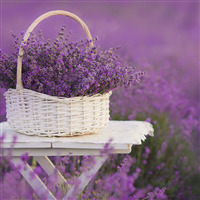 It is such a relaxing and calming scent, nothing like that cheap lavender smell from the stores. Not at all! I will need to get more real soon! COMMENTS: I used the Lavender 40/42 for CP soap. The smell came through in my soap and I love it. COMMENTS: This Lavender is the truest Lavender, combined with Lavandin it will hold strong in CP. It's my go to even over the other 30/32 because it's that floral musk that holds true. COMMENTS: This is the freshest, sweetest, lovliest lavender you could imagine. COMMENTS: This is a good oil, but for me it works best in a blend. Will buy again. COMMENTS: I used this in a facial lotion and it is perfect and soothing. COMMENTS: I love this lavender essential oil because it has that sharp herbal scent, the way that true lavender should smell. Holds pretty well in my cold process and I use it in a blend for my roll-on perfume. COMMENTS: I love the smell of lavender! This oil is one of the best lavender oils I have bought. COMMENTS: This is seriously a must have for any soap maker. For me personally I tried using lavender population in my soaps, and my customers preferred having this blend over the essential oil. COMMENTS: This is by far my favorite Lavender Essential oil for everything. true lavender scent. COMMENTS: I really like this lavender oil. It is the only one I use in my line. COMMENTS: Wonderful in the cold process soaps and lotions that I have made. Scent doesn't fade. Popular scent among my friends and family. COMMENTS: This scent mixes well with vanilla to create a soft scent which reminds me of home. It is popular among my customers. COMMENTS: I mainly use this in my bath salt mixes but also use it with my CP soap as well. It's a wonderful scent without being too harsh in my opinion, so very good for relaxation themed items. COMMENTS: Always performs great in CP soap. Love the true lavender scent. Wouldn't change a thing. It also blends well with other EO. COMMENTS: The scent smelled a little too florally... It is fresh but too strong. COMMENTS: Our Lavender essential oil soap is one of our best selling types. Nice pricing available to make the soap economical. COMMENTS: Has great staying power and sells very well for me in soaps, and in bath fizzies. Great price! COMMENTS: Lovely sweet scent, not herbaceous like some others. Always my best seller. COMMENTS: The BEST!!! I use it in all my products. It is definitely my best seller for EO! COMMENTS: I use this product frequently, as it provides some calming properties. Lovely scent-light and airy-and seems to be a favorite of everyone! I use it in almost everything that I made for beauty products, and also use it in soap. Can't go wrong! COMMENTS: use it in almost everything. Love it so so much! "One of my top favorites "
COMMENTS: I love this oil. I use it in almost all my products and It does really well in cp soap and holds its scent well. I havent tried to hp soap with lavender but i may one of these days. COMMENTS: So many lavender essential oils are stinky. This one smells pure and fresh! If you have ever been to a lavender farm, this is the smell! I made a goat's milk and lavender soap with this and it was one of my biggest sellers at the craft fair! Very high quality and the fragrance is spot on! "A Lavender that everyone will love"
COMMENTS: Top seller and holds up well in CP soap. I have carried the 40/42 blend for the past six years and it always sells out. COMMENTS: I use this lavender in most everything I make. My customers love it. It's fragrance is great from soap to facial masks. I'm not a big lavender fan, but my customers love it. COMMENTS: I've compared this Lavender EO to some of the "high end," really expensive ones, and I don't perceive a difference. This EO has no "bite" and is loved by me and my customers. COMMENTS: This lavender smells a lot better than the other leading 40/42 EOs. Not only that, it seems to last longer, you get more for your money. I use this in almost every product that I make in my shop. 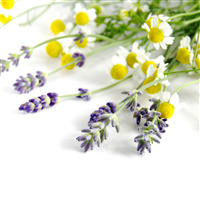 "Great scent and great behavior in products"
COMMENTS: Lavender is a very popular essential oil in my product line. I use it in almost everything, which is why my only con is the price! • price of course! bit pricey! COMMENTS: I've used this in M&P, salts, scrubs and fizzies with wonderful results every time. COMMENTS: Love the smell of this essential oil. It is one of my most popular options from my customers. Love the bottle sizes. COMMENTS: I really like this Lavender. Holds well in shower gel.